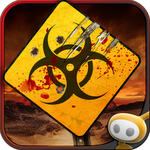 Challenging players to "race through an apocalyptic wasteland overrun with mutants and other hazards," Glu Mobile recently released Mutant Roadkill to the Play Store. 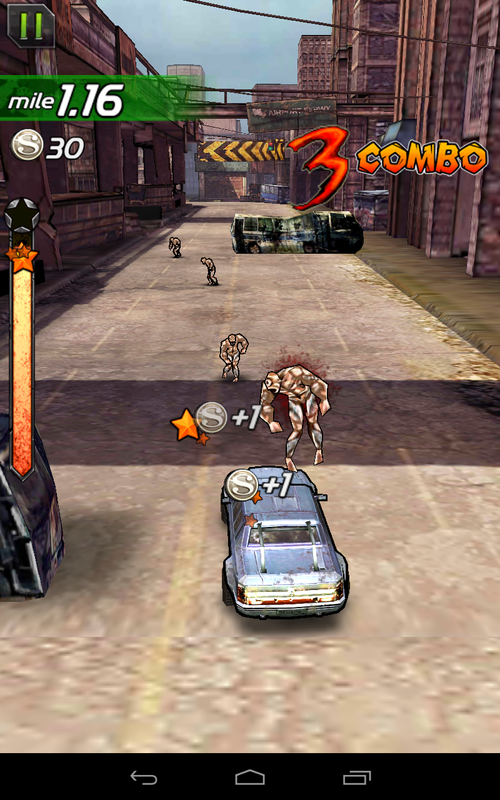 As its name would suggest, Mutant Roadkill is a driving game (of sorts). The primary objective is to navigate the streets of an utterly destroyed, abandoned city, running over as many hapless mutant zombie creatures as possible while avoiding collisions with debris including other cars. 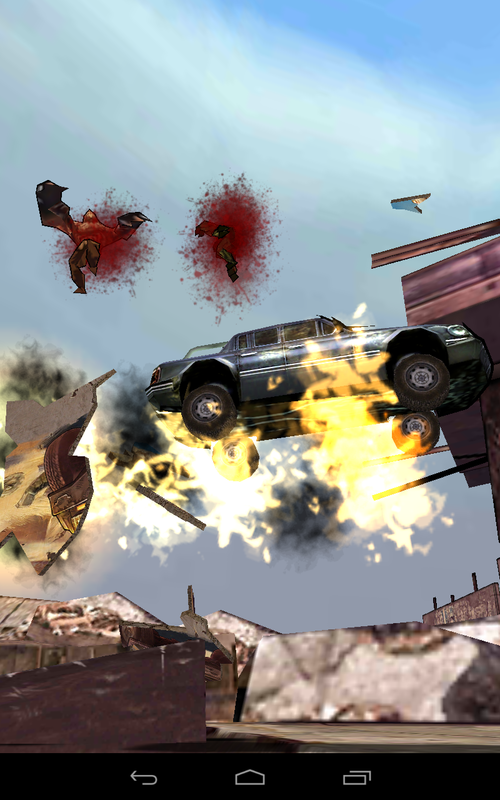 Building on this simple premise, the game offers powerups, combo bonuses, and upgrade-able cars. 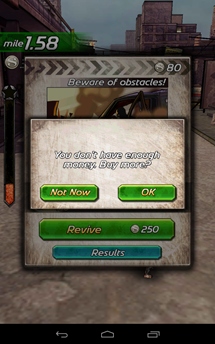 Players can earn coins in-game, or (of course) buy them via in-app purchase. Players can also gain powerups by completing special missions (for instance driving 2 miles without hitting a mutant, or activating 2 powerups in the same run). The game's tilt/swipe controls are simple and easy to get the hang of, made even easier by an intro tutorial. Mutant Roadkill's gameplay may be simple overall, but it's dynamic enough to keep the game entertaining. Overall, Mutant Roadkill is an entertaining game that will handily get you through a few minutes of downtime without getting boring. It's free to play, so there's no reason not to give it a shot. If you've always wanted to screech through a deserted city full of grotesque mutants, here's your chance – just hit the widget below.